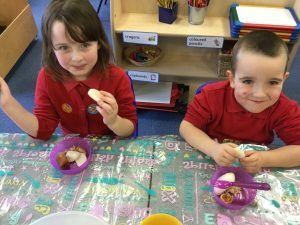 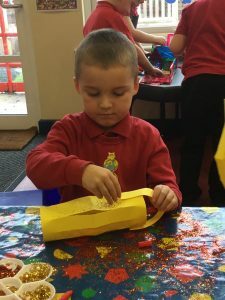 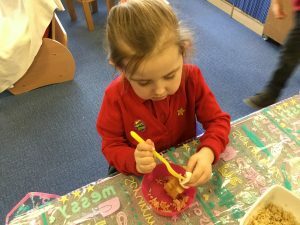 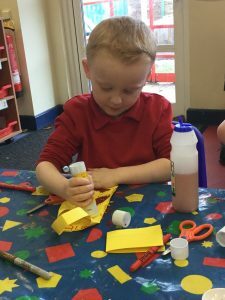 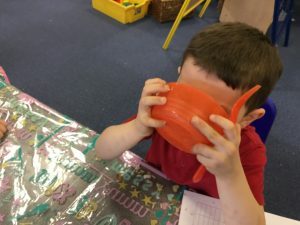 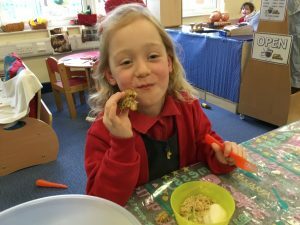 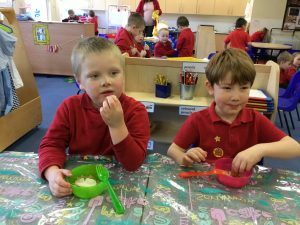 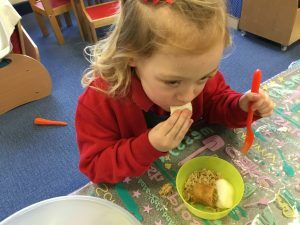 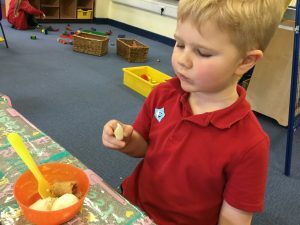 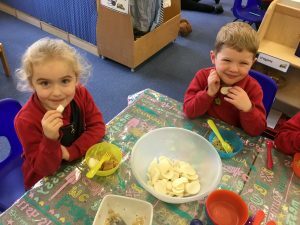 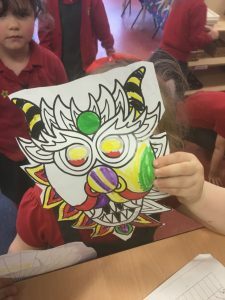 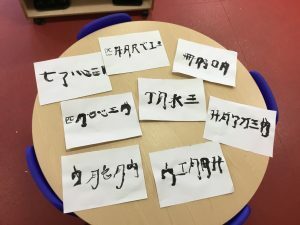 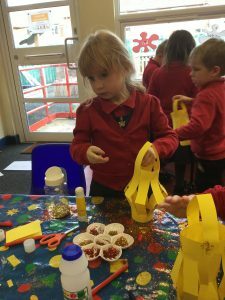 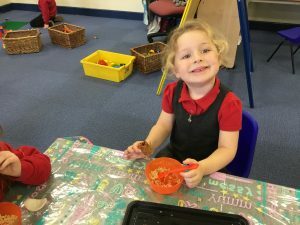 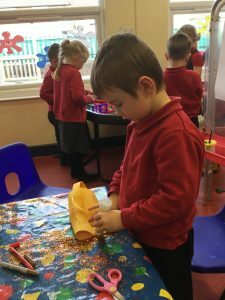 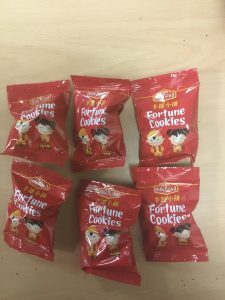 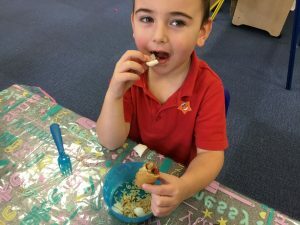 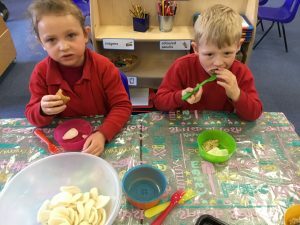 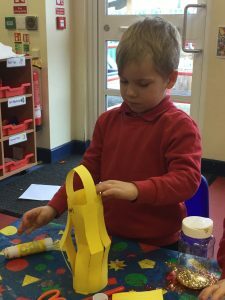 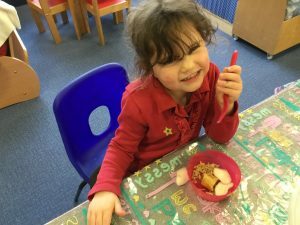 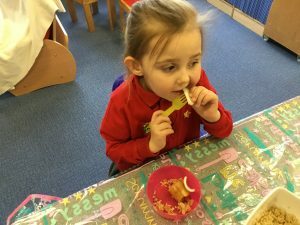 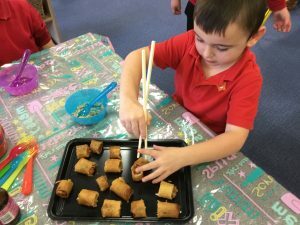 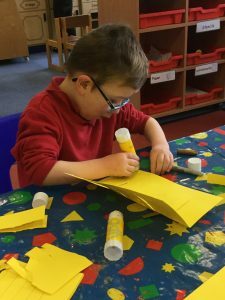 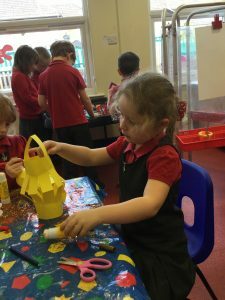 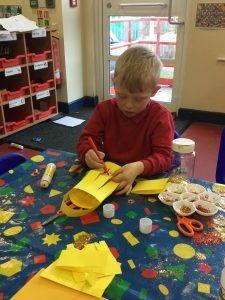 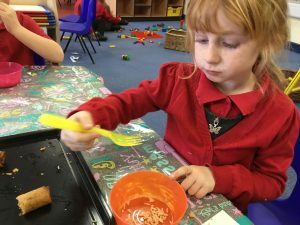 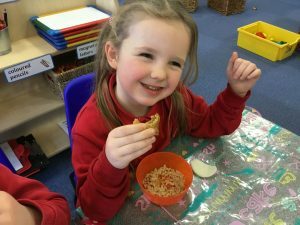 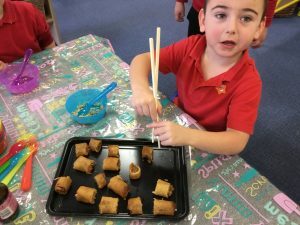 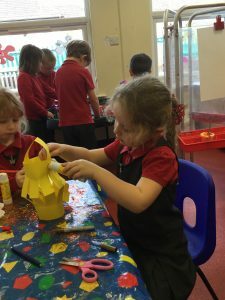 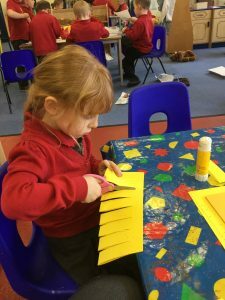 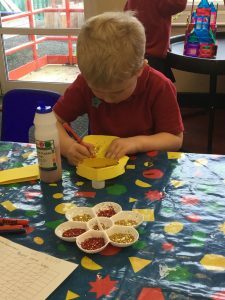 This week the children in Reception class have been celebrating Chinese New Year. 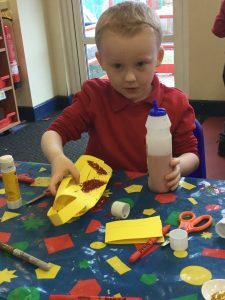 We loved listening to the story of ‘The Great Race’ and found out that this year is the year of the pig. 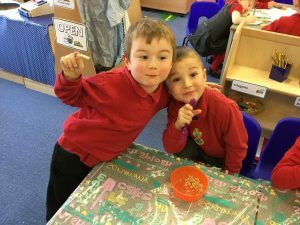 We had fun ordering the animals from 1st place to 12th place in the race. 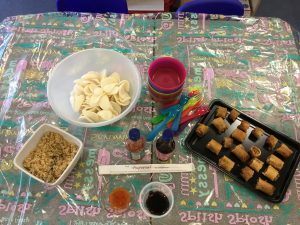 We have also learned how some facts about China and looked at photos and videos of Chinese New Year celebrations. 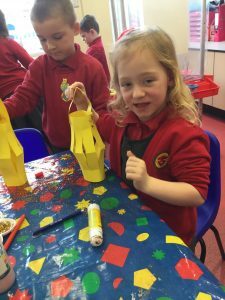 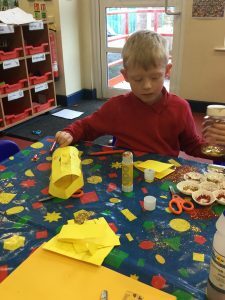 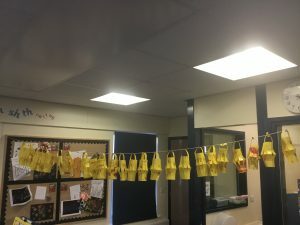 We found out that yellow and red are lucky colours for Chinese people so we made lanterns to decorate the class using these colours. 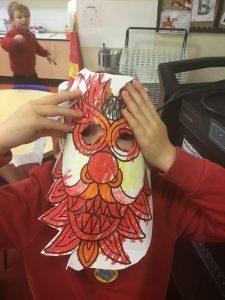 We also had a go at making dragon masks and even attempted to write our name and some numbers in Chinese. 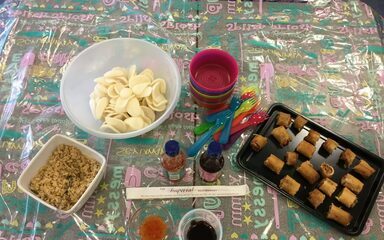 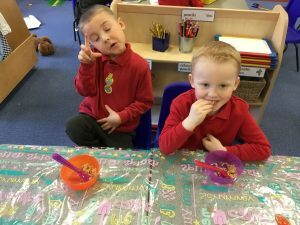 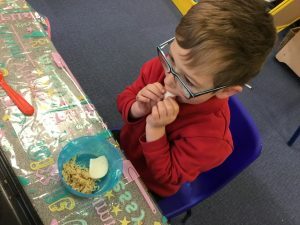 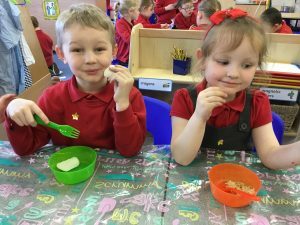 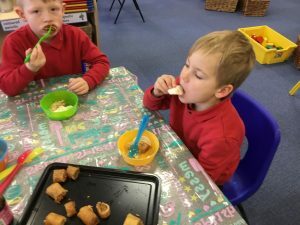 Finally we got to taste some yummy Chinese food, everyone agreed that prawn crackers are delicious!